As India cracks down on illegal migrants, a comparison with the Trump administration’s immigration policies is inevitable. The Global Citizen’s identity, meaning and significance has been changing over the centuries. The first belonged to prehistoric tribes, which migrated from Africa to all corners of the globe, establishing the first human colonies on Earth. Then came nomadic conquerors, adventurers, explorers and savants driven by thirst for knowledge, resources and wealth. The new Global Citizen is the Immigrant. It would be tragic irony to call the Muslim the new Global Citizen, seen through the prism of displacement. However, Muslims make up the majority of global immigrants. The war in Iraq and the post-Arab Spring conflicts have turned millions into refugees, bringing cultural and sectarian influences—desirable or unwanted—to their host nations. They disrupt economies, make seismic changes in ethos, transforming demographic equations. Governments are fighting back. 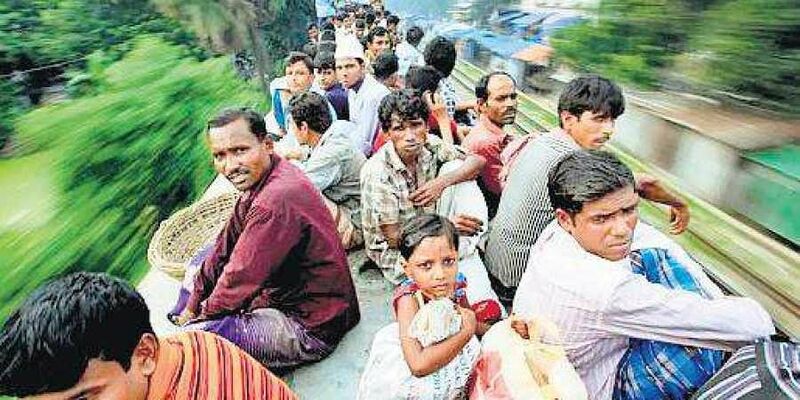 The NRC exercise in Assam has exposed over 40 lakh illegal immigrants from Bangladesh. It is no surprise that the vast majority of them are Muslims, and were fraudulently admitted into electoral rolls to form a grateful vote bank for the Congress party. In 2004, the government stated in Parliament that there were 1.2 crore illegal Bangladeshi infiltrators living in India, and three lakh are being added every year. West Bengal is the host with the mostest—5.7 million. Minister of State for Home Affairs Kiren Rijiju’s estimate is around two crore. Today as the unfortunate immigrants in Assam face deportation, the humanitarian dilemma of their new statelessness exposes the cost of political adventurism. The calamitous consequences of illegal immigration are local and religious polarisation. The migrants are ready to work for a pittance, thereby upsetting wage structures. They clear forest lands, set up illegal colonies and work the corrupt system to get domicile documents. For Bangladeshis and the Rohingiyas, India is a land of hope. The contradiction is that they are hostile to the Hindu populations in their own countries, who are treated as second rate citizens or massacred by the Rohingyas in Myanmar. Security agencies are worried over the illegal madrasas along the West Bengal-Bangladesh border operated by maulvis of dubious national loyalty. They are classified as breeding grounds of Islamist intolerance and terrorism, often acting as safehouses for ISI infiltrators. As India cracks down on illegal migrants, a comparison with the Trump administration’s immigration policies is inevitable. However, the difference lies in economics. Most Indians with H-1B visas are highly qualified professionals who contribute to the US economy instead of being a drain on state resources. The world has entered the Age of Nationalism reconfigured as the New World Order. The gainsaying is hard to miss.